More than one hundred students from seven different institutions of higher education attended the recent Meeting of the Christian Roma Collegium Network at the Hungarian Academy of Sciences on the 20th of January. 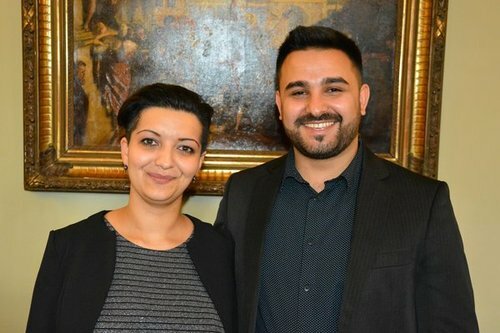 Among the participants were former and current students of the Roma Collegium in Debrecen and Budapest run by the Reformed Church in Hungary. This special event started with greetings from the Hungarian Prime Minister, Viktor Orbán, and the Minister of Human Capacities, Zoltán Balog. 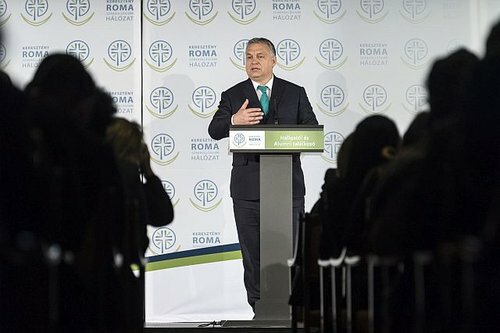 Prime Minister Orbán said that in Hungary today, there are two paths to advancement: work and study, and if the two are linked, that is even more advantageous. 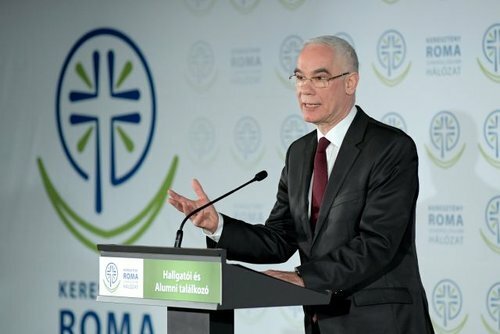 With relation to studying, he recalled the 2011 launch of the Christian Roma Collegium Network, aimed at facilitating the cause of social inclusion. “Over 90 percent of those who have completed their studies are now in work,” he pointed out, also highlighting the fact that the level of education of the Roma population was continuously increasing. Speaking to the participants, the “future young Roma leaders”, the Prime Minster also noted that among the current members of the government, the Speaker of Parliament, the Prime Minister, the Minster for National Economy and the Minister of National Development, had all attended vocational colleges. “I could not tell you anything more encouraging”, he added. In his speech, Minister Zoltán Balog pointed out that a country can only gain strength permanently if all of its citizens have the opportunity to make progress, together and individually. “Major debts have accumulated with regard to the Roma community during past decades, and there was a lack of honest dialogue and will,” the Minster said. However, he also highlighted that the Christian Roma Collegium Network was able to come about thanks to the alliance forged in 2011. As an example citing the fact that as a result, the number of young Roma participating in higher education has doubled over the past three years. In 2011 when the Christian Roma Collegium Network was set up it consisted of four members in four large cities of Hungary: Budapest, Debrecen, Miskolc and Nyíregyháza. These four institutions were maintained by four denominations: the Jesuit Order (Budapest), the Reformed Church (Debrecen), the Greek Orthodox Church (Miskolc) and the Lutheran Church (Nyíregyháza). Currently there are seven Collegiums since three new institutions were opened in Debrecen, Budapest and Szeged. The RCH’s second Roma Collegium called RefoRom was opened in 2016. As part of the program, students of the Roma Collegium share their testimonies on how the program has impacted their life. “Coming from a slam town in Borsod (North-west of Hungary) I was very curious as to how it feels to be together with other Roma young people who are also studying at or finished have university. I did not think to have a chance for an experience like this before. This was the most important change for me to learn how others think about life, faith, and the world, too” said Zsuzsa Váradi who just completed her MA in Health Promotion and will continue her studies in a PhD program; she is also a member of the Wáli Istvn Reformed Roma Collegium in Debrecen. János Orsós comes from a “Beás” Roma family and is currently a member of the RefoRom Roma Collegium in Budapest run by the RCH. He is now studying in a MA program at Eötvös Loránt University in Budapest. “I am thankful for the professional support I have received from the Collegium and for the loving and supportive community I could and will be part of.” said Orsós. The Christian Roma Collegium Network provides support to Roma students in the form of financial aid, housing assistance, additional coursework and mentoring. Aside from academic opportunities, the students are encouraged to explore spiritual matters as well. Mentors monitor both academic and spiritual development. Ultimately, the Collegium hopes to send out well-rounded individuals into Hungarian society. The Collegium's programs are open for non-Roma students, but the institution offers accommodation and financial support to Gypsy candidates exclusively, asa very low percentage of Gypsies have the opportunity to study at universities or colleges.